2.00 2011-04-05 Sonic of 8! A lot of Unused Tracks. 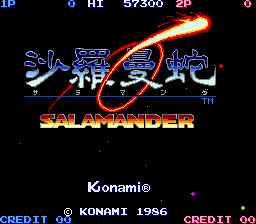 of Life Force (and one music in Salamander for MSX). There are a lot of unused musics and jingles here. Without M1 VGM, I never discovered these hidden tracks!